Today I added the below image and caption to the 19th century timeline (1st half). A couple of things seem noteworthy: 1) a rear-facing trombone is featured and 2) both a serpent and an ophicleide are shown (often the latter is thought of as a replacement for the former, making it somewhat unusual to include both). I will also be adding the image to the serpent and ophicleide history post and the hubpages article on rear-facing trombones. 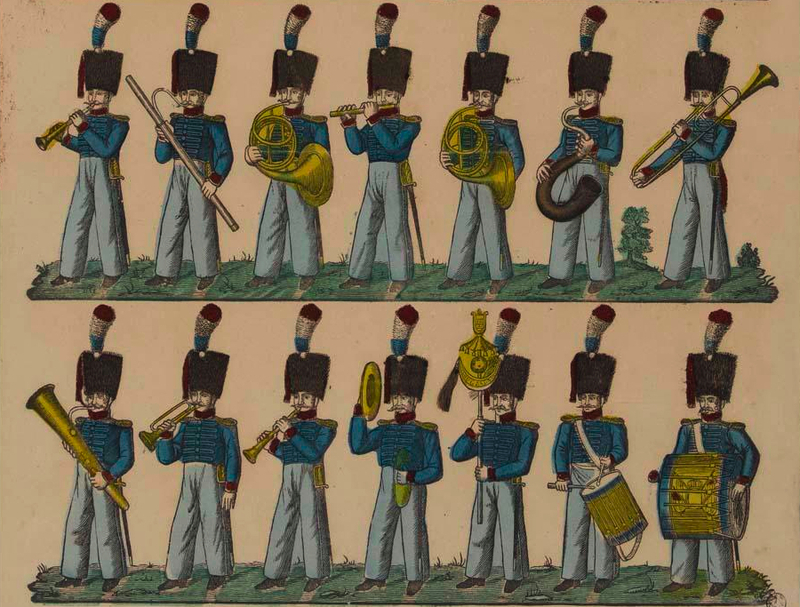 c. 1825—France: Pellerin, publisher of French popular prints, publishes a print titled Musique d’Infanterie Francaise, which includes a rear-facing trombone (upper-right). 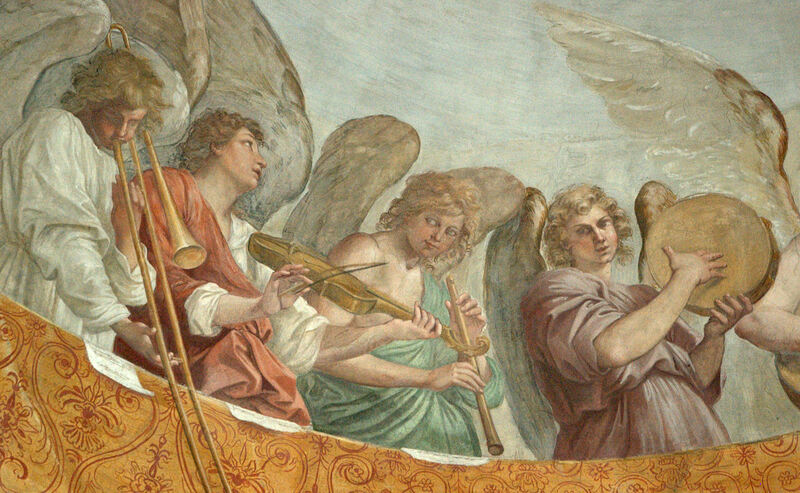 Other low brass instruments of interest in the image include a serpent next to the trombone and what is probably an ophicleide on left side of the next row (see below image—click for larger version; public domain) (Paris, Museum of Civilization in Europe and the Mediterranean).